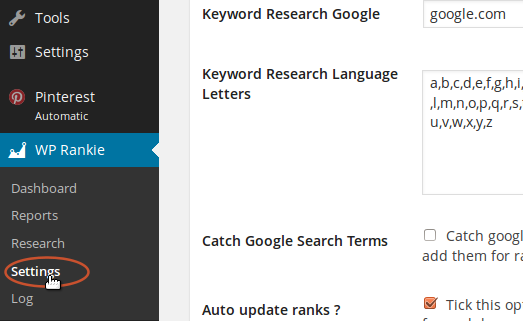 As a wordpress rank tracker plugin Wordpress Rankie will update keywords rank positions daily and generate powerfull reports. 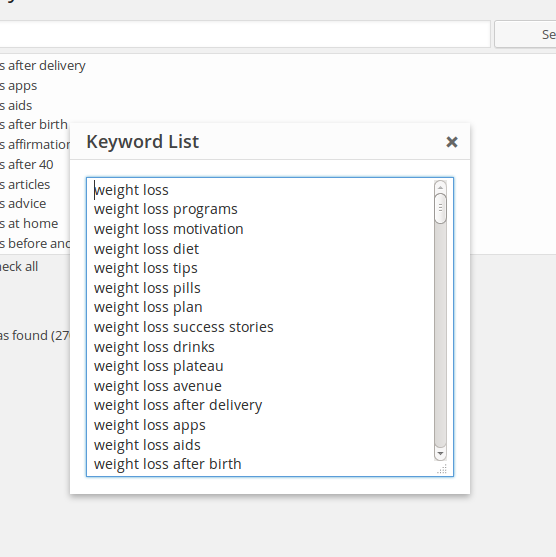 It also incorporate a powerful research tool that generates valuable keyword lists Googlers are already using to search. 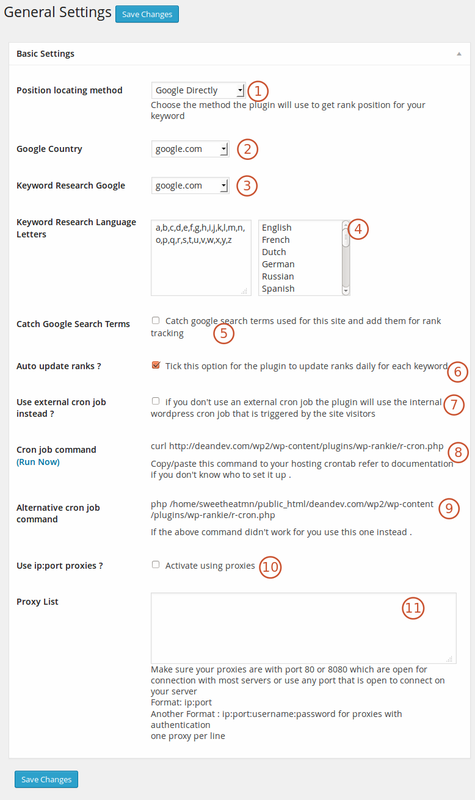 Rankie can track unlimited number of keywords ranking on Google and keep updating these ranks daily as it works as a Wordpress SERP plugin. 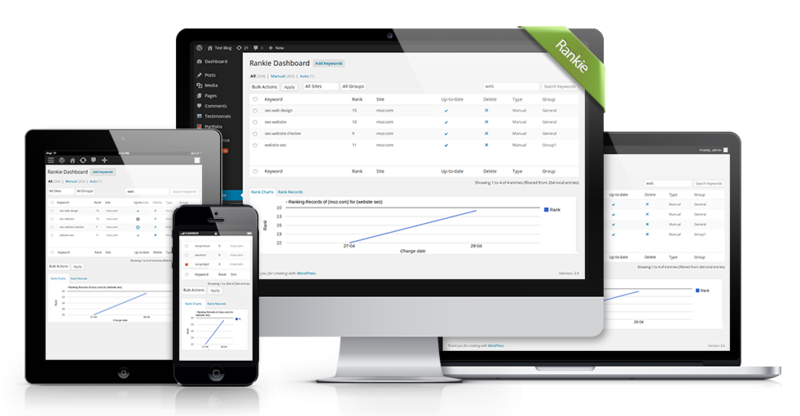 Rankie can generate ranking reports per month , per year or by all time letting you know how ranking is going ? 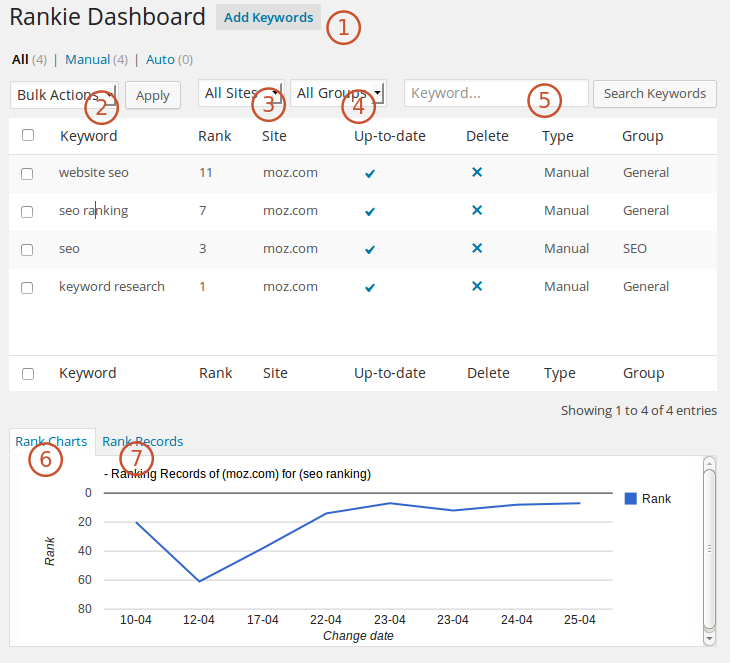 up or down with details on every single position change for each tracked keyword. 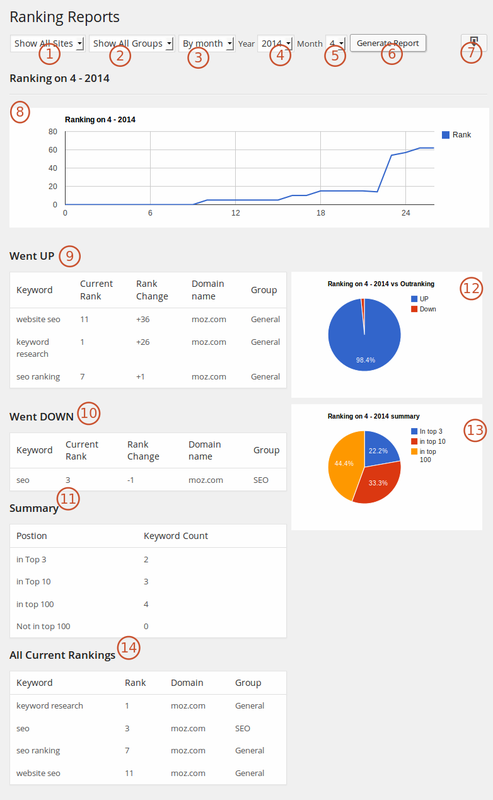 As a wordpress rank reporter It also allows downloading these reports as PDF . 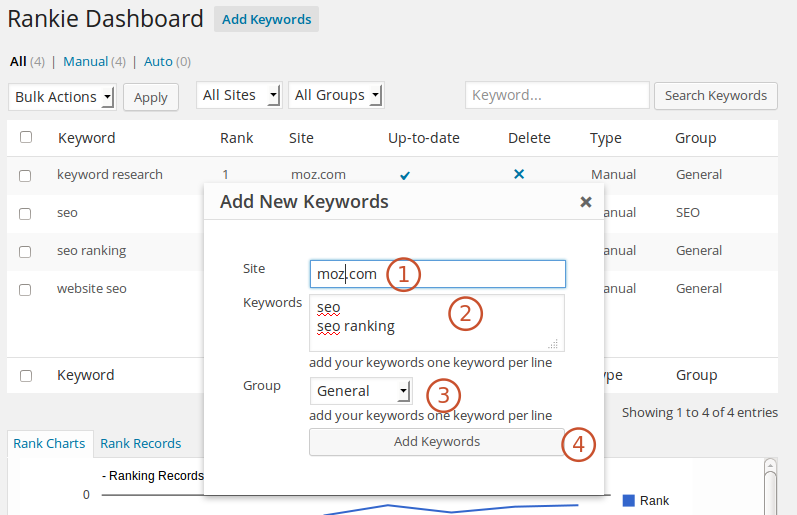 Rankie is not only a wordpress serp tracker plugin but also integrates a powerfull keyword research tool that generates huge lists of valuable keywords you can target. 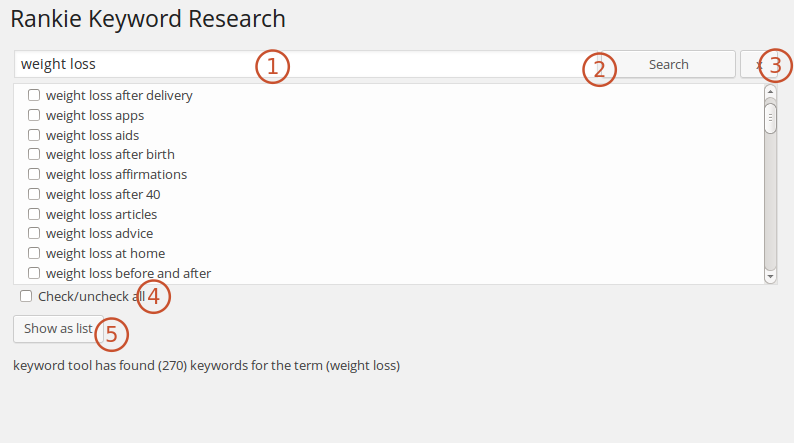 as example if you want keywords about “weight loss” the plugin will search Google for “weight loss” returning 10 suggestion results for this term then searches “weight loss a” returning another 10 results then “weight loss b” returning another 10 … etc till it searchs “weight loss z” . all results returned will be listed for you to check or select and show as a list to copy/paste. 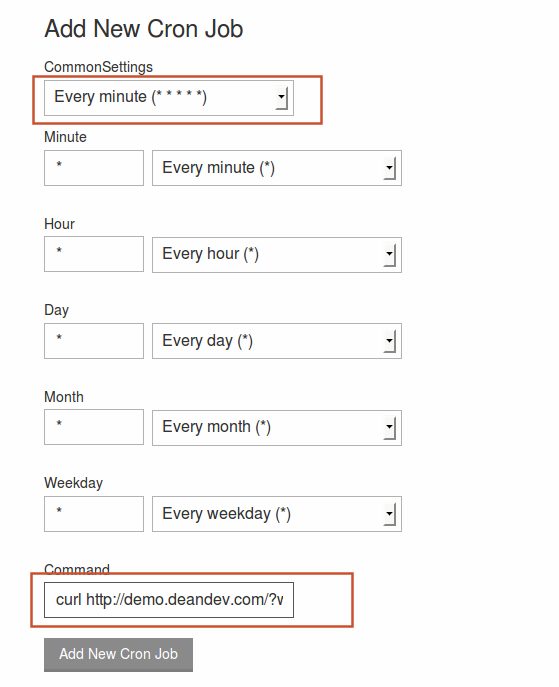 To configure the plugin under Rankie Menu click "Settings"
You will see options like this . Once again, thank you so much for purchasing this Plugin. 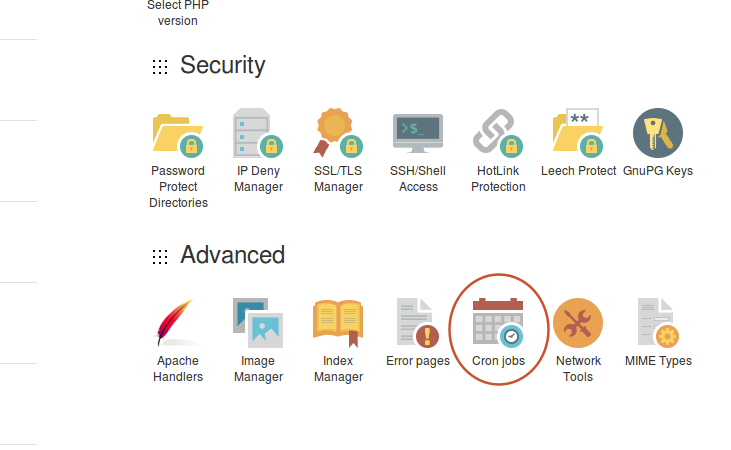 As I said at the beginning, I'd be glad to help you if you have any questions relating to this Plugin. No guarantees, but I'll do my best to assist. If you have a more general question relating to the Plugins on CodeCanyon, you might consider visiting the Item page and asking your question in the "Item Discussion" section.